Big Bear in December: No Snow? NO PROBLEM! Whether you have already booked a cabin with us for the coming weeks in Big Bear, or if you are still making plans (visit us at RSVacations.net for some great cabins! ), you may be wondering what there is to do in December in the mountains when there is no snow on the ground. Don’t worry, there is more to do than you might think! Today I will talk about just some of the fun things to do here in beautiful Big Bear Lake-with or without snow! No matter what mood Mother Nature is in, Big Bear Ski Resorts take matters into their own hands. With a world-class snow-making system in place, you can hit the slopes even when the snow is not falling. As a bonus, it is much more fun to ski and board when temps are in the 50’s than when it is freezing! STAY TUNED FOR OPENING DAY INFORMATION!! Just like our Ski Resorts, Big Bear’s Snow Play Areas have the ability to make their own snow, and boy have they been busy at it! 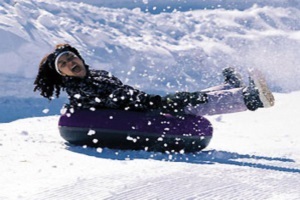 The coverage is great and with their “Magic Carpets”, you can enjoy an entire day of tubing fun without all the climbing! Do you feel more comfortable on two wheels than on two planks of wood? Another positive of the mild weather is that you can take a bike ride – IN DECEMBER! Choose a comfort bike and take a leisurely spin along the lake or rent a mountain bike and hit the trails. Enjoy the beauty of the mountains and explore the back-country from horseback. You will have some terrific photo opportunities as well when you get to the top and see the gorgeous, panoramic views of Big Bear Valley. Get off the beaten path and see and learn about Big Bear’s rich history when you take an Off-road Tour. Several different tours are available. See Big Bear Lake from a whole new perspective – the air! Enjoy the stunning scenery of our beautiful Valley, Lake and surrounding Forest. Bring your camera! Another benefit of the fall-like weather we are experiencing is that the trails around our forest are clear and accessible for hiking. Grab a trail map from the Discovery Center and set out on a nature hike with the family. From beginner to expert trails, there is something for every level of hiker. Experience the sensation of flight as you zip through the forest. A real adrenaline rush for the whole family! 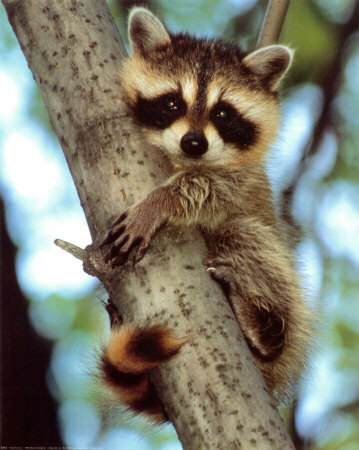 View and learn about over 180 animals at our local zoo. Check out our Grizzly Bears, Wolves, Mountain Lion, Deer and more. Feeding tours and special presentations on most days. Head over to the Bowling Barn and Big Bear Funplex for hours of family fun. Go Ice Skating on real ice, get competitive at Laser Tag or just enjoy the arcade. Have a blast going Glow Bowling at night! Have you ever wanted to be on ‘The Amazing Race’? Now is your chance – sort of! Set out on a 1.5 hour walking adventure in and around The Big Bear Village. Using your smartphone, you will solve clues and complete challenges while learning local history and fun-facts. Stroll through the Big Bear Lake Village and enjoy the unique shops and quaint atmosphere. Catch a movie at the local Theater, dine at one of the many delicious restaurants, take a Horse-Drawn Carriage Ride around town or enjoy a live concert at The Cave. When the sun goes down, grab a cup of hot chocolate and sit by one of the fire-pits or check out one of the night clubs for some live music. If you want to find out where to hike, bike or otherwise get in touch with nature, the Big Bear Discovery Center is the place to start. Get trail maps, learn how to be prepared and take an interpretive tour through the forest. Special presentations and celebrations are happening all the time. 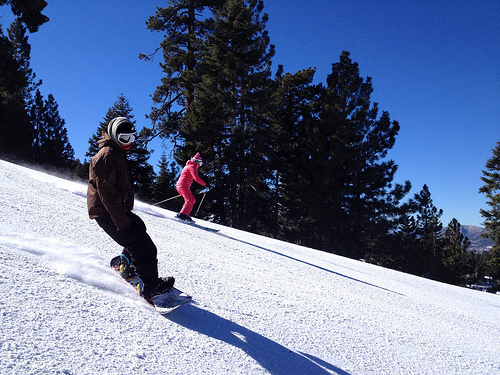 As you can see, Big Bear Lake has so much more to offer than just snow! Come on up to our sparkling blue skies, crisp air and stunning forest. You will love it!! Do you need somewhere to stay? RS Vacations has cabins for every group and budget. Check out the “Our Homes” tab at the top of this page to see what we have to offer, then visit our website to book your perfect Big Bear Cabin. See you soon!